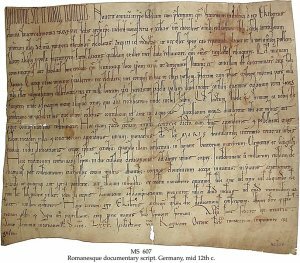 Description	 MS in Latin on vellum, Trier, Germany, mid 12th c., 1 f., 26x32 cm, (25x32 cm), 20 long lines in a large Romanesque documentary script, first 6 words in tall compressed capitals. Provenance	 1. Benedictine Abbey of St. Mary ad Martyres, Trier (from 12th c.); 2. Bernard Quaritch Ltd., London. 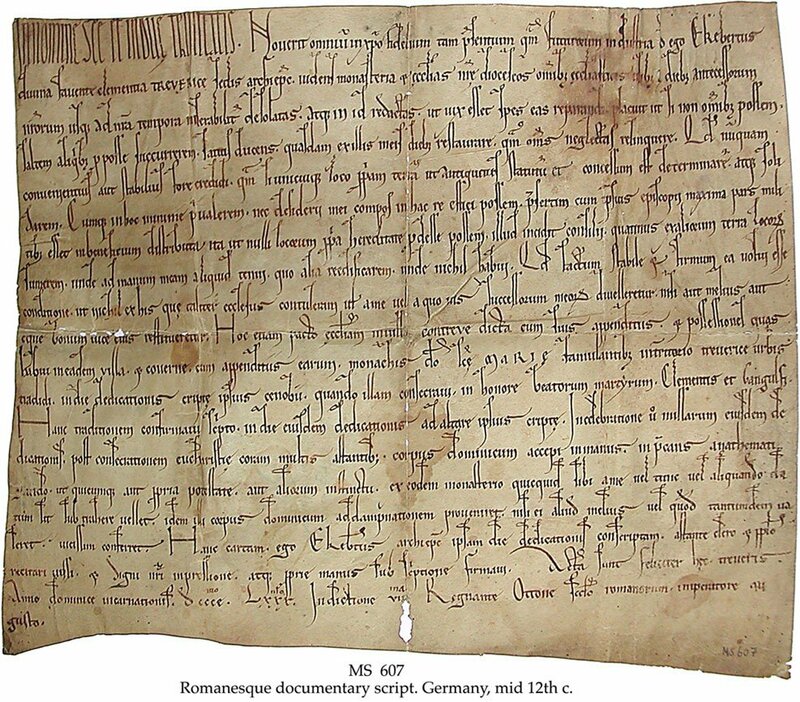 An unusual Romanesque forgery of a Carolingian grant of property, maybe intended simply to increase the prestige of the Abbey, or the document had to be copied since the original was worn or lost. The text is printed in H. Beyer: Urkundenbuch zur Geschichte der jetzt die preussischen Regierungsbezirke Coblenz und Trier, I, 1860, 310.